Following the promoter Naresh Goyal exit, the consortium of Indian lenders, led by State Bank of India (SBI), will become the majority shareholders of Jet Airways. 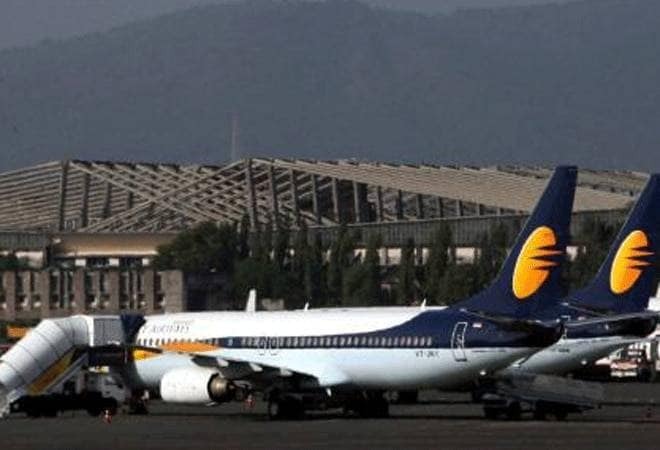 Cash-strapped Jet Airways on Monday said its board has approved conversion of lenders' debt into equity shares and other proposals, which was required for the ongoing debt restructuring and resolution plan. "As part of the proposed solution, the Board of Directors of Jet Airways today approved the conversion of Rs 1 of lenders' debt into equity by the issuance of 11.4 crore equity shares, in accordance with the RBI directives," Jet Airways said in a filing to the Bombay Stock Exchange. Following this development, the consortium of Indian lenders, led by State Bank of India (SBI), will become the majority shareholders of Jet Airways. Making its biggest management shuffle in company history, the board approved resignation of promoter Naresh Goyal and his wife Anita Goyal and Kevin Knight, nominee director of Etihad Airways, from their positions on the company's board. Meanwhile, the two nominees of the Promoter and one nominee of Etihad Airways will continue on the Board. Adding to it, two lender nominees will be inducted to its Board, subject to the receipt of requisite approvals. As part of the resolution plan, the lenders will provide an immediate interim funding support of Rs 1,500 crore to Jet Airways, it said, adding that the company will also engage with payment intermediaries for release of trapped cash. "The airline will leverage the funding to partly clear pending dues towards lessors, vendors, creditors and employees in a phased manner. The move will see Jet Airways re-deploy several of its grounded aircraft back into its network, helping renew many of the routes it had temporarily suspended, which will help restore normalcy of operations, aiding the airline's long term transformation to continue expansion and to regain its position as a global player," Jet Airways said. The board also approved constitution of an Interim Management Committee (IMC) to oversee the overall financial and operational performance of the airline under the overall supervision of the Board of Directors with the support of McKinsey & Co.
As part of the resolution plan, the lenders will also begin the process of sale/ issue of shares to new investors which is expected to be completed in the June quarter, it added. Commenting on the development, Naresh Goyal said, "For me, the 22,000 employees are my own family, as dear to me as Nivaan, Namrata and my wife Neeta, and no sacrifice is too big for me to safeguard the interest of Jet Airways and the families of the 22,000 employees. For the sake of my family of 22,000 employees and their respective families I have today taken the step of stepping down from the Board of Jet Airways. I became the Chairman on1stApril, 1992 and my family is behind me and with me in this decision and I hope you will support my decision too. I will miss you one and all. Thank you for your brilliant dedication and loyalty down the years. I am proud of you and wish you all a great future ahead with our Jet Airways!"